In the coastal cities of Argentina, the female waste pickers who are Environmental Promoters will work together with recyclers to recover waste materials from beaches. 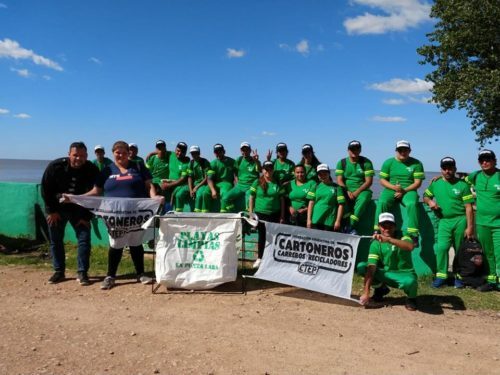 This summer started with the creation of a program called “Clean Beaches”, which was launched by the Argentine Federation of Waste Pickers and Recyclers together with the Municipality of Ensenada (Province of Buenos Aires). The program has two main purposes: on the one side, it recognizes the work of recycling materials by the waste pickers who are part of FACCyR. On the other side, it encourages environmental promotion among tourists who visit and enjoy the beaches of the city. Besides, the program considers that these recycled materials be processed by waste pickers, thus avoiding tons of SUW being buried. Through this system, Argentine recyclers contribute to preserve the Atlantic coasts, and at the same time, they create job positions and encourage social inclusion.